3 Things To Do When You Receive a Grand Jury Subpoena - Oberheiden, P.C. Every year, the Department of Justice issues thousands of federal grand jury subpoenas to targets of criminal investigations. While the thought of receiving a subpoena is clearly a scary one, it is important to note that in many cases the intrusiveness of subpoenas can be mitigated by effective defense work. The attorneys of Oberheiden, P.C. have handled many hundreds of grand jury subpoenas, as former federal prosecutors as well as criminal defense counsel. 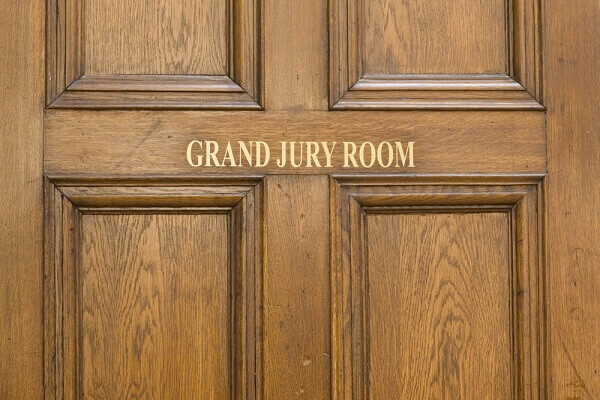 There are two types of federal grand jury subpoenas. The first category, perhaps the more common one, orders the recipient of the subpoena to produce certain specified and identified records and documents within a given deadline. Typically, this kind of a grand jury subpoena, often called subpoena duces tecum, will ask for the production of corporate documents, e-mail or text communications between certain individuals, contracts, videos, or other items of interest to the government. The second type of grand jury subpoena will request that the target will personally appear before the grand jury to testify. In some cases, the government orders the production of documents as well as the appearance for testimony. What follows is an example of a subpoena to testify. “This letter is to inform you that you are the target of a federal grand jury investigation. The investigation against you is concerning potential violations of federal law at 18 U.S.C. 1347 (Health care fraud) and possibly other related offenses. The alleged crimes were committed within the Northern District of Texas.You are hereby invited to appear before a grand jury in the Northern District of Texas to testify about matters related to the above-referenced activity. Your decision to appear and testify will be voluntary. If you decide to testify, your testimony could be used against you if any criminal charges are returned by the grand jury. Please inform me or have your attorney inform me by May 20, 2016 about your decision to accept the invitation to appear before the grand jury. If you wish to be represented by an attorney, but believe that you are not able to afford one, please contact me directly and I will coordinate your appearance before U.S. Magistrate Judge Smith, who will consider your application for appointment of counsel. While some of our clients react shocked about being served a grand jury subpoena, other clients had reason to believe that one was coming. Clients who expected a subpoena were typically contacted by federal agents for interview requests before or were generally aware of a pending investigation, for example, because friends or business partners have already received a subpoena. Although it is never too late to defend against a government investigation, it may certainly help to prepare for worst-case-scenarios ahead of time. The following three suggestions have proven successful for clients of Oberheiden, P.C.. The idea behind planning a grand jury subpoena is to put yourself into a position, in which you, if ordered to produce documents, will be able to produce “good” documents that show your “good” intent rather than being caught off guard. Depending on the industry you are in, you should make sure that your corporate paperwork has been checked by attorneys, that pertinent contracts are executed, and that your documentation overall leaves an impression of organization, sophistication, and persuasiveness. For example, if you run a healthcare business, it would behoove you to set up a corporate compliance program and to appoint compliance staff within your company in order to demonstrate your intent to comply with all laws. Similarly, if you have a business with multiple employees, always make sure that you have everyone’s files and taxes and all accounting up to date. It is a really bad idea to think that the destruction or hiding or altering of requested documents is a viable option. In fact, the easiest and fastest way to get charged with a federal felony is the tampering with evidence. Federal law is very clear that the lack of cooperation with a subpoena or a lack of document preservation will result in obstruction of justice charges. So, instead of wasting time with such illegal acts, you should pursue an active document preservation policy. Organize, prioritize, and categorize your business records. Make sure you inform your employees proactively and in writing about your company’s policy to cooperate with the government. Show the government that you have, prior and in addition to the subpoena, collected, stored, and saved relevant documents yourself. This could go a really long way. When planning and preparing a grand jury production, it is important to understand that not every document asked for can or should be produced. The law recognizes several exceptions that protect subpoenaed individuals from production. The most important legal excuse to not produce are documents that are subject to the attorney-client privilege, that is communication between you and your lawyers. Further, as part of the preparation and defense, attorneys experienced with grand jury proceedings will engage with the government and open a dialogue about the case to find out what the case is really about. Those attorneys in our firm that previously served as federal prosecutors can confirm that few things are more important than having good lines of communications with the government lawyers in charge. This dialogue may help to narrow down the document requests, to avoid a target to testify, or to get time extension to better prepare the document production. Oberheiden, P.C. is a criminal defense firm with headquarters in Dallas, Texas. Clients from Texas and beyond seek our services to assist with grand jury investigations, audits, and criminal defense matters. All our clients have direct access to highly experienced attorneys and are not walled off by paralegals, secretaries, or junior lawyer. If you received a target letter or a grand jury subpoena, you should seek legal advice immediately. The attorneys at Oberheiden, P.C. offer you a free and confidential case assessment. Benefit from speaking to our former prosecutors and find out what needs to get done in your case to avoid criminal charges.